Earlier this year I wrote an blog about my trip to Derby, and how fantastic the access was for disabled people. 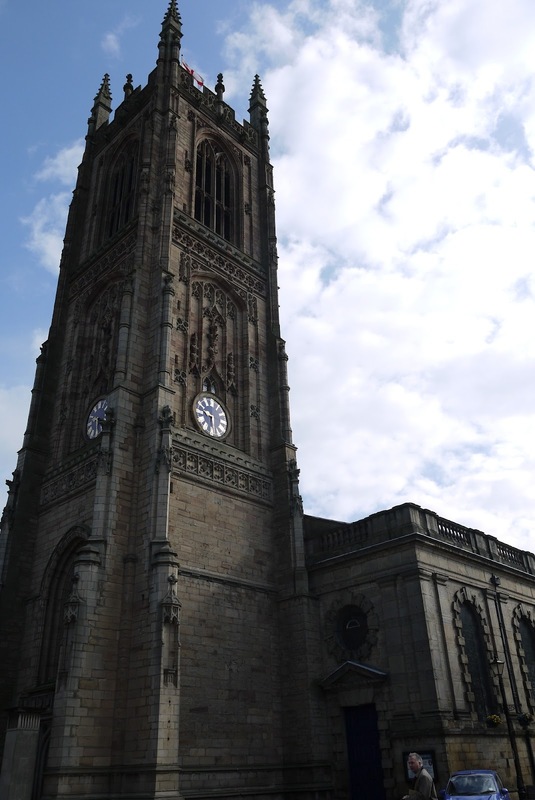 After reading my blog, the local council invited me back to Derby to show me around this historic city. Of course I jumped at the chance, and so in April I set out up the M1. 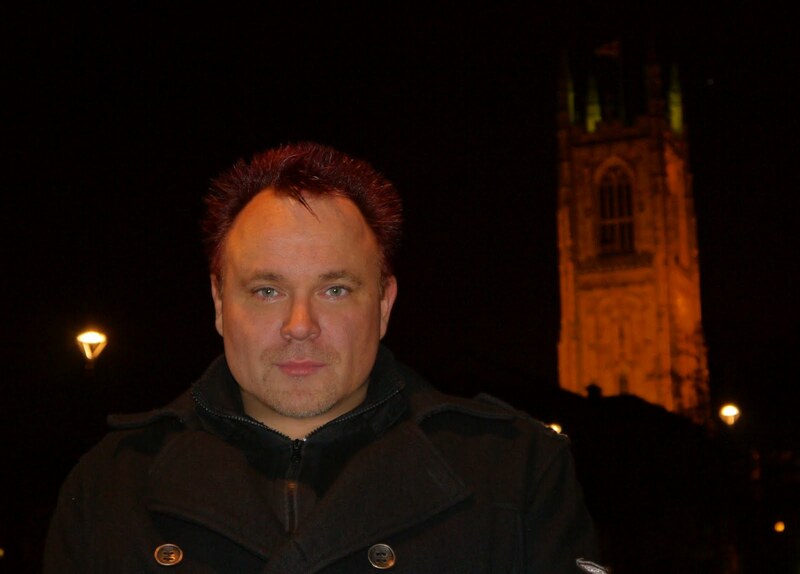 I booked into the Cathedral Quarter Hotel and paid a visit to the very talented Derby resident and friend, local photographer Rei Bennett for a night out. She took us for a great meal at a Japanese restaurant called Moonsha. Truly superb food, great service and a totally accessible venue (as well as the yummiest house white I have ever tasted!). Already the joys of Derby if you are disabled were hitting home, as I had spent a great night where the issue of access hadn’t raised it head once. The next morning I went down to the lobby of the hotel accompanied by the darling wife Diane and met up with Andy Smart, a projects manager with Derby council, and Stella Birks, a visitor services development manager with Derby tourist board. As soon as we set out, the heavens opened. So rather than get soaked we retired to Jack Rabbits coffee shops for a latte and yummy cakes. This was already my kind of visit. While the rain fell, we chatted and it soon became clear that everyone at Derby council has a real commitment to making the city not only accessible but fully inclusive. On cue, as we finished our coffee the sun began to shine, so we set off out once again. We walked down to the river side, and saw the works that have been carried out to create a community space that is used for public events and entertainment while also providing a great public space. Even the grass areas had been ramped and the whole site was a real triumph of inclusive design. impressed we then wondered towards the shopping centre. There are loads of live events on through out the year. 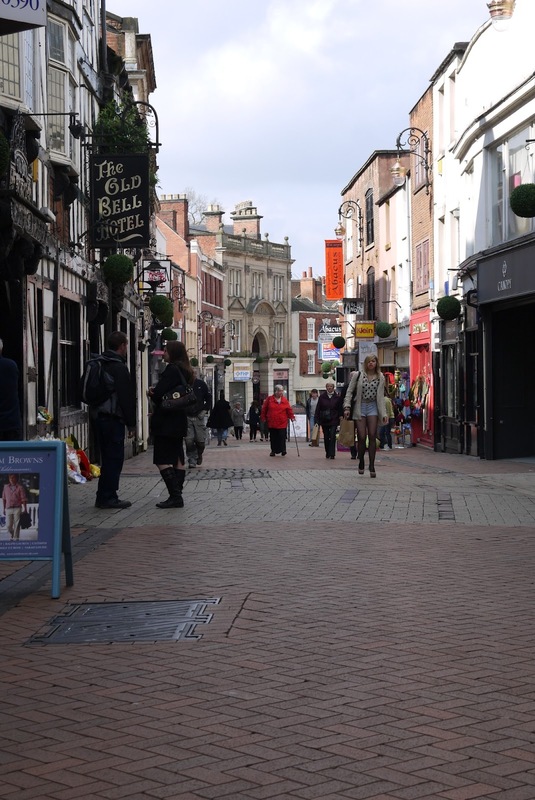 As soon as you enter Derby City centre you discover how well shared spaces, once called pedestrian zones, really work. I know that there is a great deal of controversy around creating shared spaces, but Derby has been using them since the early 90’s and they have ironed out many of the issues that some groups raise. Andy informed me that this has been done with the full cooperation of local disability groups. Sure as a wheelchair user I do think that shared spaces are a great idea, but as someone who works in accessible design I also appreciate that there are major concerns about taking this route when trying to create accessible environments, especially within the visually impaired community. However, I must admit that it seemed to me that Derby had found solutions to many of these objections. There is a clear demarcation between the pavement and road areas, created by a dramatic colour changes in the paving around these transitions, for those with some sight, and using the drainage gully to mark where the pavement ends for those who use canes. The dreaded tactile paving, well dreaded by us wheelies, has not been used through out, which may worry some people I know. The best solution is that huge areas of the centre are closed to traffic during the day. As of 10am all the cars vanish from the city centre and the roads belong to the pedestrians alone. Having said that, later on that night we were walking across one of these streets, now open to traffic, and a car slowed down a let us cross as if it was totally natural. If I’m honest I think that everyone who is interested in the issues around shared spaces should visit Derby and get in touch with Andy Smart. Next we went to new arts centre, The Quad to meet up with Derby’s very active disability group and the council’s Equality and Diversity Manager Ann Webster to discuss the cities entry in to the European Award for Accessible Cities. 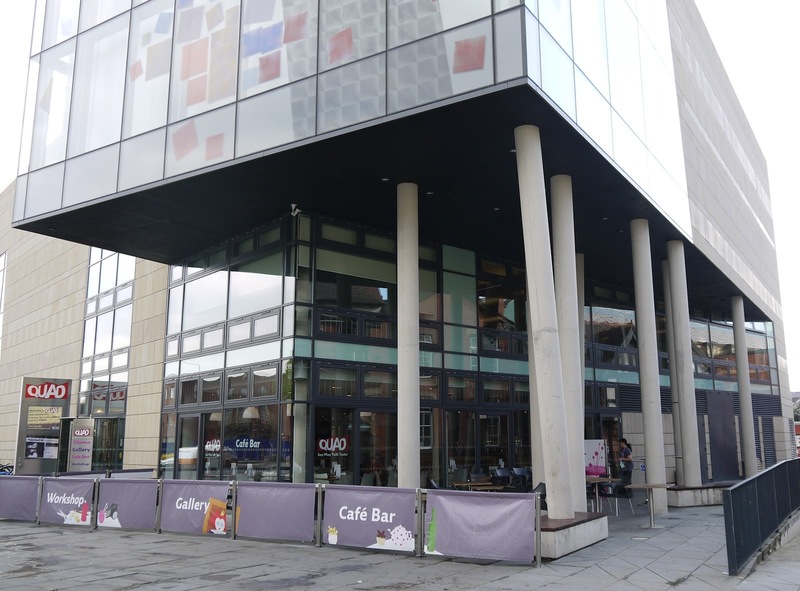 Developments like The Quad are examples of great inclusive design, with all the facilities on offer being open to all, and as we chatted over sandwiches and coffee it became obvious how vocal local disabled people were in the evolution of their city. Just shows what can be done if you get involved. From this fantastic public facility we visited the local Shopmobility Scheme, which was staffed by a great bunch and really well equipped. Then off to see the new fully accessible bus station, which serves a fleet of accessible buses. I think you can see there is theme developing here. Although this all sounds wonderful, the funny thing was that both Andy and Stella felt that there was still a lot to do. 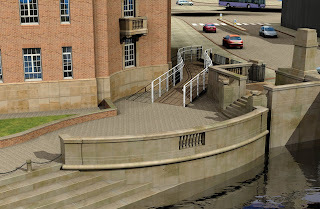 The picture above is of a proposed new access down to the river Derwent, that runs through the city centre. The plans for the new Council House, which is currently being developed, really demonstrates the commitment to inclusion, as do the proposals for the train station. 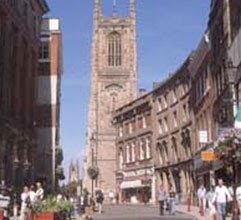 A key element to Derby is the amount of historic and heritage buildings there are. Normally the preservation of historic buildings can be a bar to access and I know I have worked a couple of projects where all of my work has been stopped by the heritage lobby. 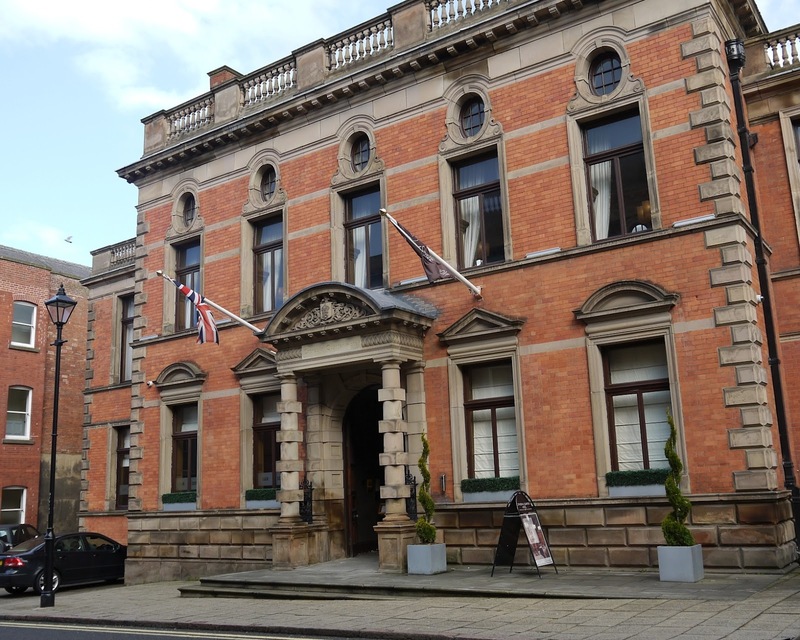 But in Derby the council is so pro-access that they provide a fund available to local businesses to pay for any access works on historic buildings to ensure access is created that is in keeping with the preservation of the feel of several areas of the city. This means that for anyone who is disabled and especially those of us with mobility issues, the entire shopping district is a dream. 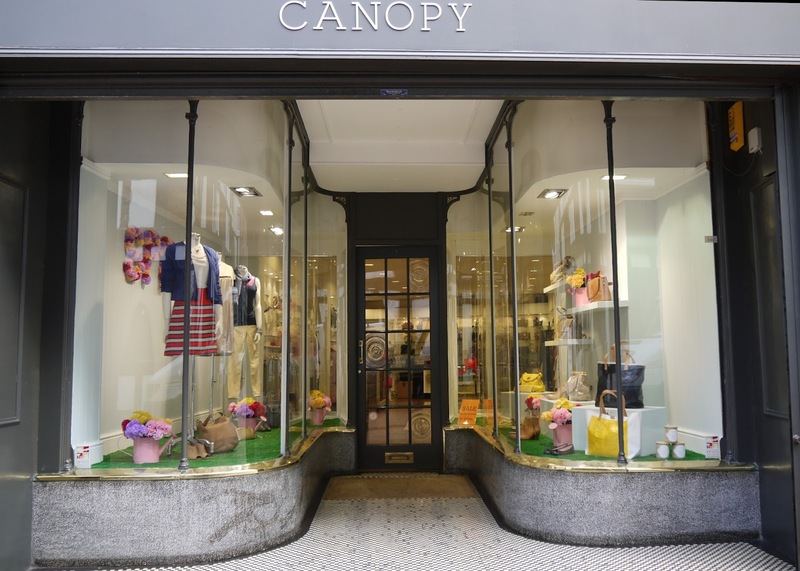 From the Westfield and High Street, through to the boutique shops in the side streets and even the local markets everywhere you go is just easy. In fact it is so good that when you do stop a shop with a step or two it actually shocks you. 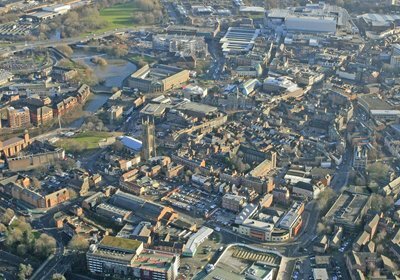 On top of the access, every one I have ever met in derby was really friendly and helpful. Before we parted I made sure that Andy and Stella understood that if Derby didn’t win that award there was no justice. Back at the hotel we prepared for another night out with Rei and a gang of local creative types, including local disabled film maker Jen White. This time were we taken to a student pub The Friary and we weren’t let down. Fully accessible, and very reasonably priced (hic), we had a great time, even if I was easily the oldest person in there. As we got ready to leave the next morning I felt a little sad. After two days of being able to do what I wanted, when I wanted as easily as imaginable, I was going back to the real world. Now all this might sound like I am in the pay of the tourist board, but honestly I’m not. It’s just that I discovered Derby by chance, and was totally blown away at how easy it was there for me. Every time I visit, I can forget my disability completely. Maybe it seems so good because I live in Camden in London, a place that is world famous for it’s appalling access. All I know is that Derby has won a place in my heart. The council is totally committed to inclusion, as I keep saying, and that shows everywhere you turn. I now hold Derby up as an example of what can be done if you put your mind to it when I am talking to my access clients. If you are disabled and haven’t been… get yourself there ASAP! Check out the Visit Derby website for information of what going on and places to stay. I know I’m planning to go back very soon. At the start of 2012 I promised myself that I would try to see more of the great country I live in. It seems that February really kicked started this goal, with a series of trips all over the UK in my diary. The first was a visit to Derby to write an article for Disability Now magazine on the photographer Rei Bennett’s Beauty from Damage project, which will be in the next issue of DN. I have been to Derby a few times in the past but as a singer with various bands, as it is a great place for live music. The only problem with seeing anywhere when you’re touring is that you don’t get to see it. You arrive, sound check, have something to eat, do the show and retire to a hotel for drinks and passing out. The next morning you’re back on the road with a place name ticked off your tour itinerary, but with no actual knowledge of what that place is like. So I wanted to experience what Derby had to offer, and with this in mind I booked a hotel room for my wife and I the night before the interview. 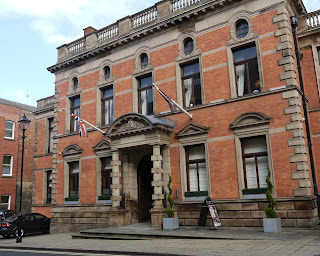 We stayed at the Cathedral Quarter Hotel in St. Mary’s Gate, which was a great choice. It’s a really nice high quality hotel, that came at a very reasonable price. From the minute we arrived outside it was obvious that the Cathedral Quarter was going to be accessible too. While it is an old building, the Old County Offices, it’s wheelchair accessible through out. Our room was nice too. Not massive, but superb for the price paid and very swish. The bathroom was very accessible too, with a walk in shower and handrails galore. The whole hotel was a superb combination of designer chic and historic features, including stained glass windows on the sweeping stair case in the lobby. The staff were really helpful and very friendly. In fact everyone we met in the city were friendly and chatty. So much so that it made the whole visit even more enjoyable. It’s funny how your experience of a place can be so heavily influenced by it’s people, but it only becomes clear when you visit somewhere where everyone is so nice. But not only has Derby got great people, it’s also a really great place. At this point I must mention the thing about Derby that really impressed both me and my wife… just how accessible for disabled people it is. In fact it is so accessible that I would say that Derby should be a shinning example to other towns and cities. In the past I have always given the example of Barcelona as proof that a anywhere can be made accessible, but Derby equally proves it and is here in the UK. Derby really is that good. It starts with the pavements, with large areas being pedestrianised. I know that many people find the idea of shared spaces frightening, but Derby demonstrates that these fears are unfounded. The changes from pavement to road area are marked with noticeably different coloured paving, and have a small dip to make sure people with visual impairments are safe, while ensuring a smooth surface for us wheelie types. 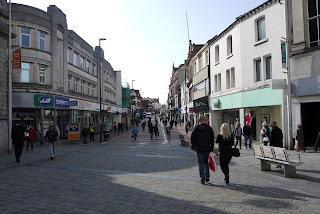 Pretty much all the shops had ramped access, and everywhere had lifts and toilets. They had even made most of the cobbled areas accessible by smoothing off the surfaces of each cobblestone. Anyone who uses a wheelchair knows how truly evil cobbles are, but Derby has cracked the whole issue. Keeping the historic nature of the cobbled areas while making them usable for all people. If you are disabled, a trip to Derby is a must if only to witness how accessible it is. When you are a wheelchair user like me, how accessible a place is can really effect how you experience what is on offer when you visit. I have lost count of the number of holidays and trips out have been ruined by crap access. With Derby being so accessible it became clear that our one night was not going to be enough. We arrived early, as I am a sticker for time keeping, and after we unpacked in our room, we went out for a walk around. I love shopping, and in Derby I could feed my addiction very nicely. We did pop into the Westfield shopping centre briefly, but much preferred the myriad of shops outside. Something that is noticeable about Derby is how many of the shops inside the centre are repeated outside. Thus saving shopping centre phobics, like my poor wife, from the horror of being stuck in the unnatural environment of Westfield and the like. 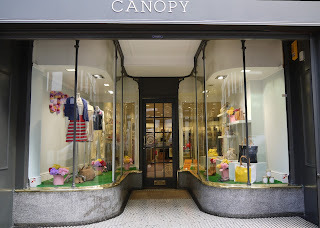 On top of the usual high street fair, Derby has loads of little boutiques selling high quality items. From local designers to designer labels there’s something for everyone. I found some great jewellery shops too. Hmm, that’s good shopping. While I love to shop, Diane loves to stop for a coffee and watch the world go by. Derby has many lovely coffee shops and restaurants, catering for all tastes. Top quality gourmet food, local produce and high street chains are all there. We tried out a couple of little coffee places, a cheese and bread place just next to the hotel and Pizza Express. All yummy with great food and really great staff. Even if you don’t fancy shopping and eating (are you still alive? ), you can easily enjoy just wandering around the city. Being an architecture buff, I found the many architectural styles of Derby fascinating. It has spans the most of industrial history, from Georgian and Victorian grandeur through 30’s and 60’s modernism to recent new developments. Definitely visit Waterstones. It’s a glorious old building with loads of original features, with an amazing 30’s building opposite, currently housing spa. In most of the centre of the city I got to combine my love of shopping with sight seeing lovely buildings, especially in the side streets off St Peter’s Street. Check out Pictures of Derby to see what a treasure chest of buildings the city is. I’d also advise a walk down by the river. Romantic and beautiful. If you haven’t been, I would advise you give Derby a try. I fell in love with the city after one day and know I want to go back, soon. I know it has a thriving arts scene for one thing, and I want to taste some of the creative offerings Derby has to offer, as well as it’s other delights.